Friday June 13th, the BlackOut returns! It hasn't been since February's Carnival fete that we had an official CalgarySoca party here in the city. The action returns on Friday June 13th for BlackOut 2014! Nothing but the hottest Soca tunes, and ALL BLACK ATTIRE is a must! DJ Sherman Hype once again joins Drew Atlas at Local 002 to deliver the tunes. 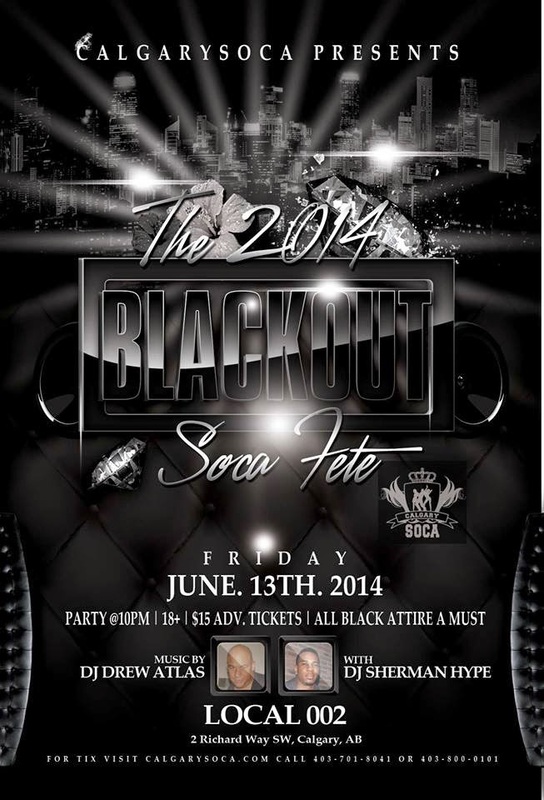 Get your tickets now either online at http://BlackOutFete2014.eventbrite.ca or by calling 403-701-8041 & 403-800-0101.